Dorothy Bentley learned the art of Lost Wax Sculpting in Venice Beach, California. 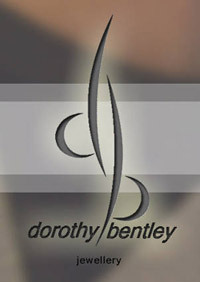 Dorothy moved back to Ireland in 2008 and created Dorothy Bentley Jewellery Design to showcase her jewellery. Her designs are inspired by her upbringing in the celtic tradition and by megalithic symbols, especially the spiral symbols at Newgrange. 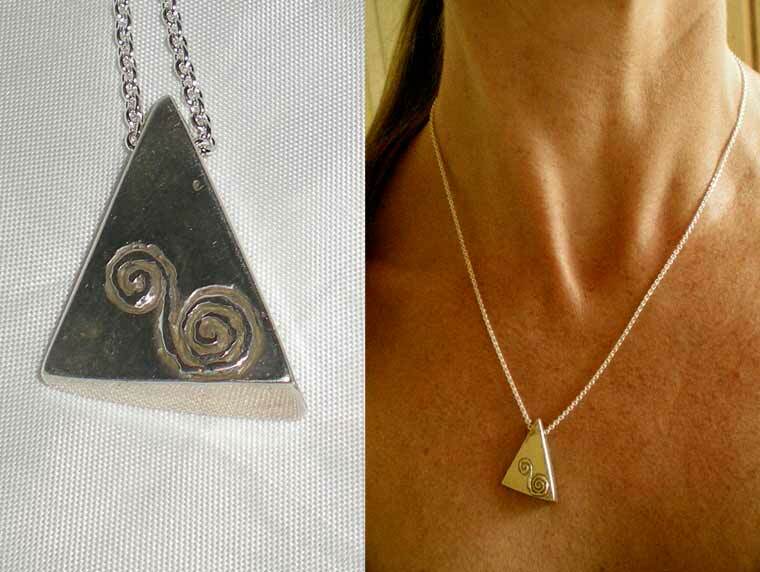 Modern variation of the Newgrange Guardian Stone pendant - Triangle with simplified tri-spiral in sterling silver. 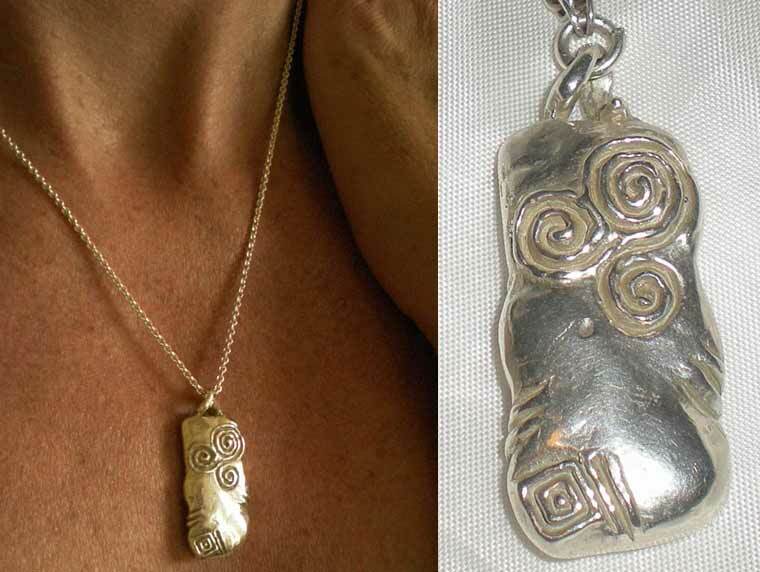 Newgrange Guardian Stone - Representation of the Newgrange Guardian Stone in sterling silver. 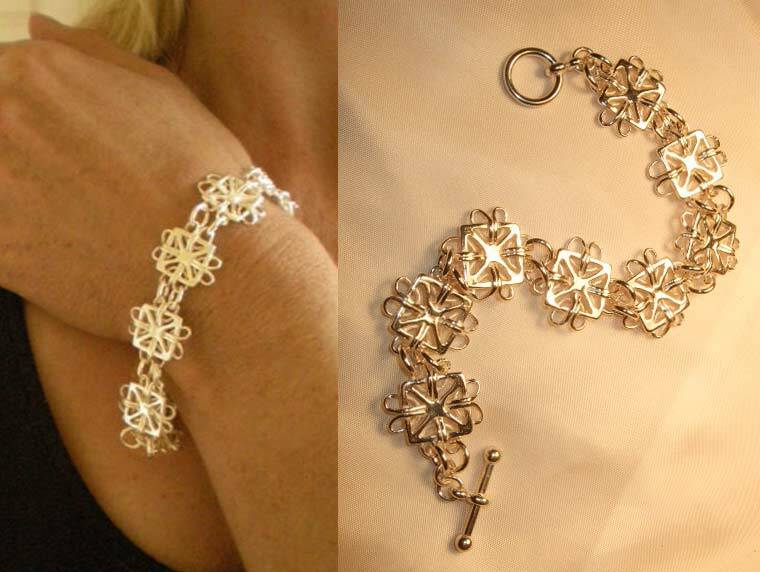 Celtic Lacework bracelet in sterling silver with toggle clasp.